So. I’ve kept a diary (I don’t write everyday, but regularly enough) since I was eleven and, of course, I have this blog, but I also keep a regular writing journal with ideas, free-writing, thoughts on my WIP and general moaning about my progress or lack-of. This year I’ve added to my self-documentation with a list of books I’ve read (date finished and a note about the content/enjoyment), and more comprehensive notes on my word count. I’ve added details about when I wrote, how long I spent, and notes on how I was feeling, distractions and so on. I’m hoping that I’ll be able to look back over these and draw useful conclusions about my work habits. Or, perhaps, I’ll just be horrified by the amount of faffing I do. Ah-hem. So, am I the only self-obsessed record keeper? If not, what do you like to keep track of? And do you find it helpful? 1. I love this by Nathan Bransford (ex-literary agent turned author). It’s the publishing process in GIF form. Very funny. 2. I saw this on Twitter (via Chris Addison, I think) and it’s a great (and hassle-free) bit of do-goodery. Mothers and children who have escaped domestic abuse and are spending Christmas in a refuge are likely to have fled their homes in a hurry leaving even the essentials behind. You can provide a gift for a child who would otherwise have nothing on Christmas day. 3. Laini Taylor’s follow up to Daughter of Smoke and Bone is out next month (8th November in the UK). It’s called Days of Blood and Starlight and I can’t wait! 4. (And 5. It’s that good). I’m a list kind of girl (can’t you tell?!) and have always kept to-do lists on scrappy bits of paper and in notebooks. However, all that has now changed. Keris wrote about Wunderlist – a brilliant (and free) cross-platform application earlier in the week and I’m very, very grateful. I’m in love. 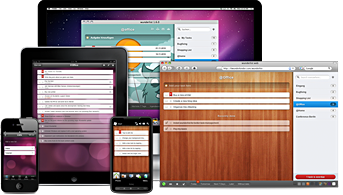 It has a neat and attractive interface, is simple to use, and it syncs between your devices so you can keep your list updated on your phone, Mac, PC, netbook, tablet, whatever. 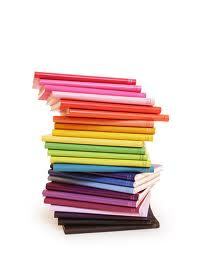 You can have as many different lists as your organised little heart desires, swapping tasks easily between them. You can also click to view only the tasks for that day (or week), safe in the knowledge that you’re not going to forget anything because it’s in your ‘master list’. Oh, my stars; I feel faint. Also, and fellow list-makers will understand this, it executes a pleasing ‘strikethrough’ when you tick something off and stores it at the bottom of the screen under ‘completed tasks’. *Okay, Friday Four. Nobody’s perfect.